Carnival in Jamaica is one fete you don't want to miss. Much like Trinidad Carnival, you’ll most likely be enjoying copious amounts of alcohol and getting little to no sleep for Jamaica Carnival 2019. That’s why it’s important to build up your immune system days leading up to your departure. 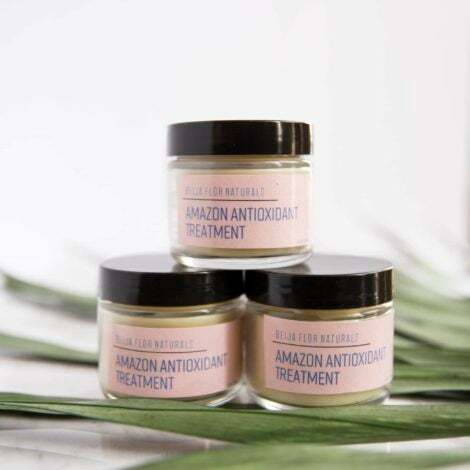 Load up on extra doses of Vitamin C, multivitamins and Echinacea to reduce your chances of getting sick while on vacation and ruining your carnival experience. Additionally, be sure to get your workouts in where you focus more on endurance than strength. You’ll be dancing and feteing for hours on end and walking for long periods of time. 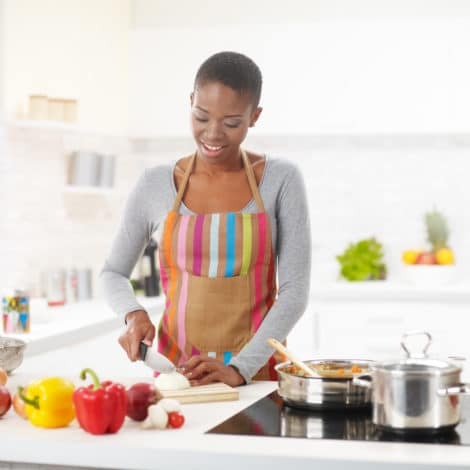 It’s imperative that your fitness levels are at their prime with a metabolism to match. All of the carnival events take place in the island’s capital, Kingston. It’s best to fly into Norman Manley International Airport (KIN) to avoid any delay in getting to the heart of the carnival activities. Avoid flying into Sangster International Airport in Montego Bay since you will have to take a bus in order to get to Kingston. One of the greatest benefits of Jamaica Carnival is the affordability. 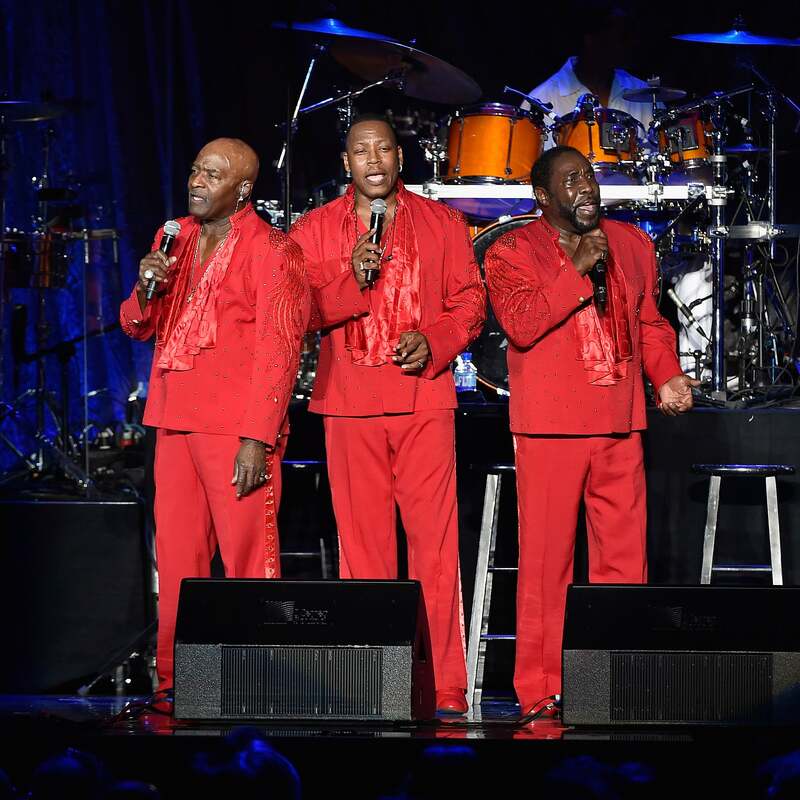 Tickets prices are relatively cheap when booked in advance. However if you haven’t purchased your ticket by now, expect to pay upwards of $500-$800 round-trip per person. Bonus Tip: Grab a few bottles of your favorite spirit from the duty free shop after you’ve cleared security. Alcohol will be more expensive if you purchase bottles within the city. Also, avoid pesky roaming charges at all costs during Jamaica Carnival by purchasing a local SIM card. A Digicel Mobile store is located right outside the airport terminal where you can get a SIM card with enough data to last the duration of your trip for $30-40 USD. Please note that they only take cash – USD or Jamaican Dollars – and your phone must be unlocked in order to use a foreign SIM card. The ideal spot to stay for Jamaica Carnival is in an area called New Kingston. 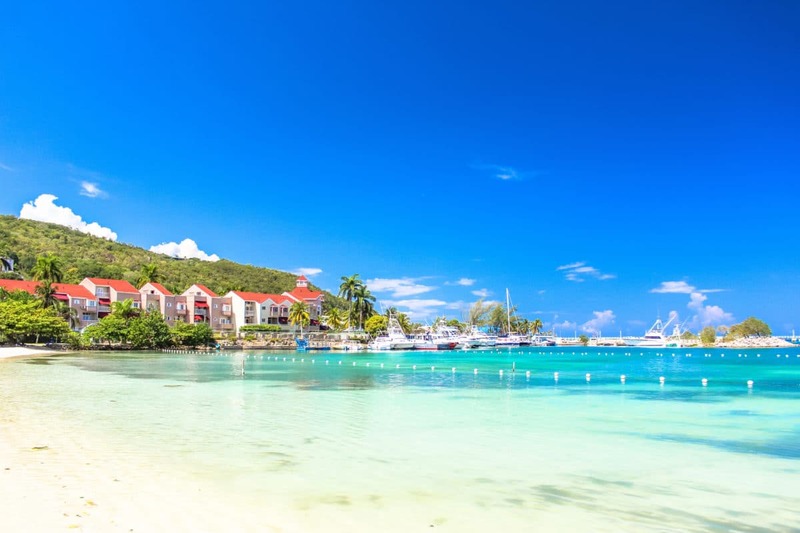 Here you will find most of the well-known hotels in the city such as Courtyard Marriott, Knutsford Court Hotel, Jamaica Pegasus Hotel, Courtleigh Hotels & Suites, and Terra Nova. Airbnb is another option for accommodations during your trip. Look for those located in areas such as Cherry Hill, New Kingston, Mona, Constant Spring and Barbican. 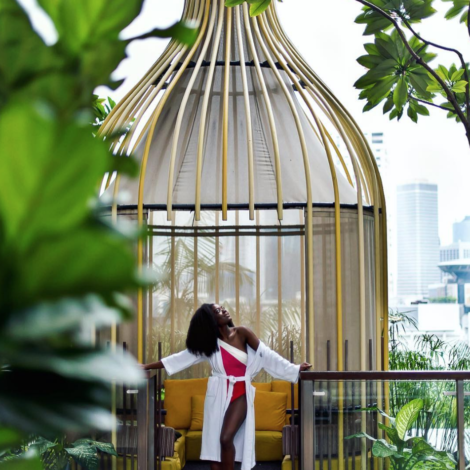 For a one-stop shop, use a carnival concierge service like Carnival Jumpers to help you with packages that include your accommodations, transportation, fete tickets and much more. Arranging a private driver for Jamaica Carnival 2019 can be a challenge at times. It’s best to setup transportation with the taxi driver used for your airport transfer when you exit the terminal. Talk with them during the commute to your accommodations to determine their availability. Other options include reputable taxi services such as On Time, Express, City Guide, and Mortec. Use NetSearchJamaica.com for their contact information. Bonus Tip: Keep in mind that taxis are not metered. Be sure to confirm your fare with the driver in advance. The fete list (aka parties) for Jamaica Carnival has grown quite a bit in the last couple of years. These fetes will definitely be the highlight of your carnival experience and are more affordable than the bigger Caribbean Carnivals. Ticket prices range from $50-125 with the all-inclusive parties being on the higher end. Some of the popular Jamaican parties that are a must for your fete list include Afloat, I Love Soca Jamaica, any Frenchmen party, and Sunrise Breakfast Party. Hookie Jamaica is another fete that many should include on their fete list. This all-inclusive breakfast fete is the ultimate pool party complete with food, premium drinks and an international cast of DJs for $55 per person! 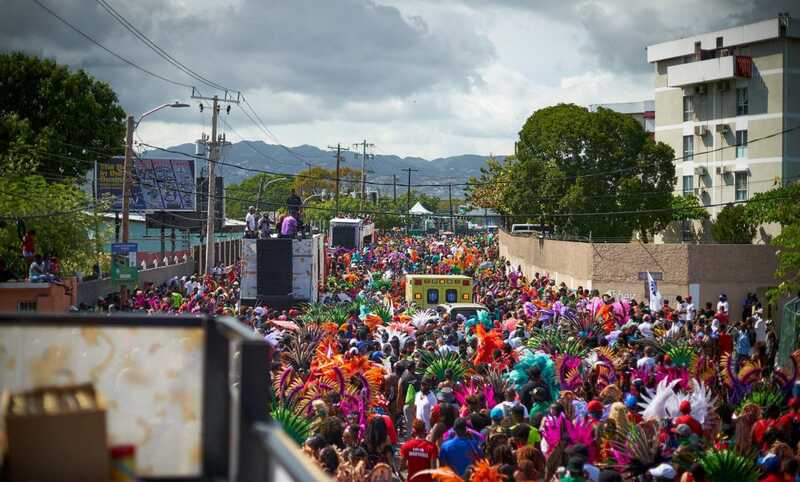 Popular fetes from Trinidadian promoters have also made their way to Jamaica Carnival like Private Ryan’s Soca Brainwash, Tribe Ignite, Scorch, and Caesar’s Army J’ouvert. The thing that makes Jamaica Carnival standout from other carnivals is the fusion of soca, calypso, reggae and dancehall music that can be heard throughout each event. Soca music is typically the soundtrack to every carnival but being that you’re in the birthplace of reggae music, you will also hear a nice mix of reggae and dancehall music at the fetes. The DJs for Jamaica Carnival do a fantastic job blending these genres of music effortlessly. Don’t forget to brush up on all the 2019 soca tunes songs for the season. This way, you can sing along and throw your hands up in the air at the right moment during the multitude of fetes you will attend. Bonus Tip: Comfort is key for carnival. Jumping, waving, and dancing for hours require comfortable shoes at all times. Much like other Caribbean islands, camouflage attire is illegal to wear in Jamaica and is reserved only for local police officers. You cannot come to Jamaica Carnival and not experience the food! 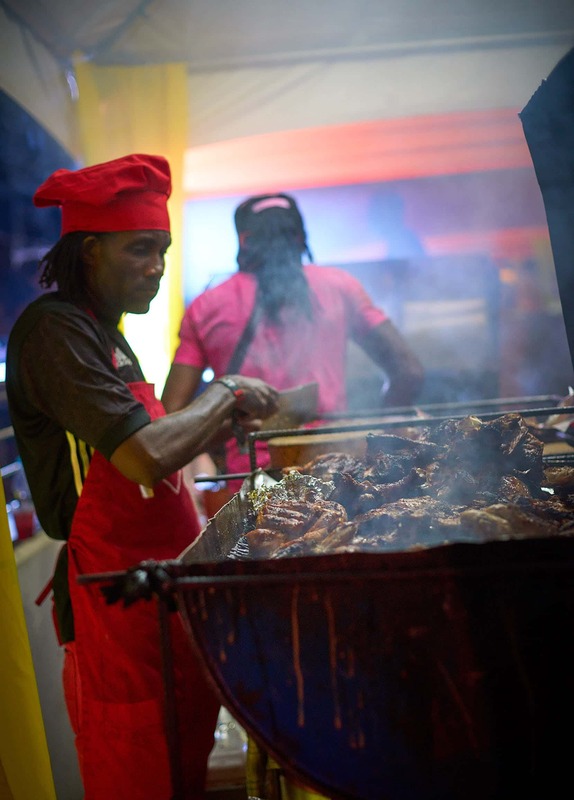 From jerk chicken and festival to ackee and saltfish, there’s more than enough delicious food to tantalize your taste buds during your trip. Much of the food during your trip will be purchased at restaurants, fast food spots, or from street vendors throughout Kingston. Stop in at Scotchie’s for some of Jamaica’s best jerk fish and an assortment of other delicious meats. Pair it with an ice-cold Red Stripe beer for the perfect roadside combo. Devon’s House Ice Cream and Bakery is also a must when in Jamaica for carnival. Their Jamaican patties are packed with flavor and boast a flaky crust. If you like seafood, try their lobster patties filled with huge chunks of lobster meat that melt in your mouth. Close out your visit at their world famous ice cream shop that features flavors like rum and raisin, Devon stout and soursop. Another must when in Jamaica for carnival is KFC. Yes, the popular American fast-food chain can be found in many Caribbean islands. However, Jamaicans will tell you that the best KFC can be found on their island. Whether original crispy, spicy or barbecue (yes, you read that correctly), you’re bound to fall in love with Jamaican KFC and might not be the same after that. Bonus Tip: The drink of choice in Jamaica is usually Appleton Estate Rum. Your favorite tequila or vodka might not always be available at a fete, although the premium all-inclusive parties will offer a wider assortment of liquor and spirits. This year, the parade will take place on Sunday, April 28th, 2019. This is when you chip and dance through the streets of Kingston with the masquerade band of your choosing. 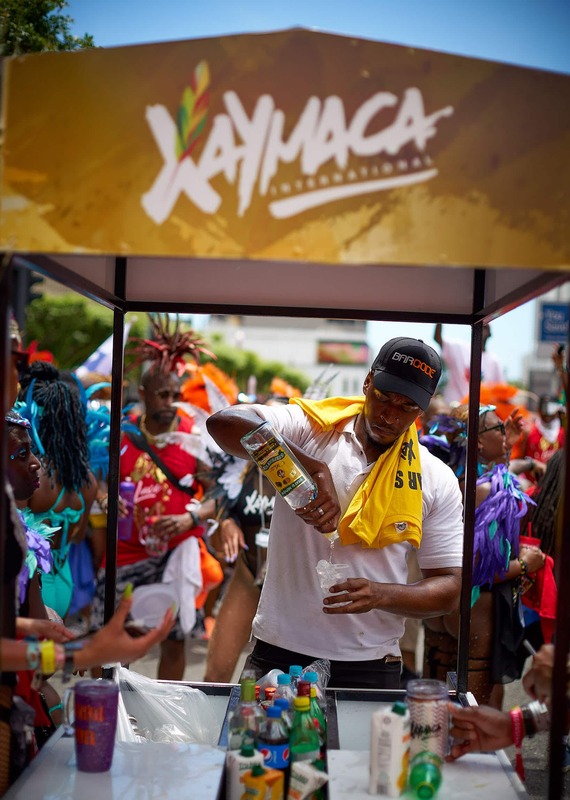 There are three all-inclusive carnival bands for Jamaica Carnival 2019: Bacchanal Jamaica, Xamayca, and Xodus. For the best carnival experience on the road, register with one of these bands to take advantage of perks like premium alcoholic & non-alcoholic drinks, music, lunch & dinner, security, on-site paramedics, mobile restroom, and your costume. 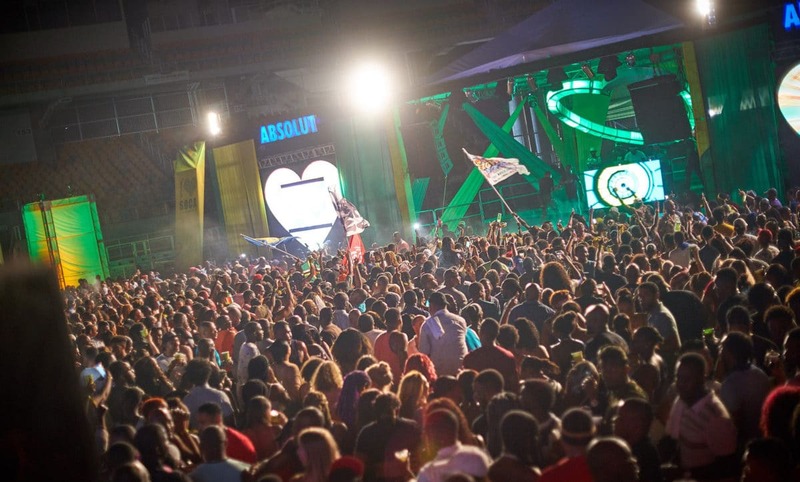 Some bands also include a final fete with their registration where masqueraders can attend this last hurrah before heading back to reality at no additional cost to them. Costume costs vary based on the band chosen, preferred section, and any add-ons you might include. For the ladies, backline costumes range from $300-450USD whereas frontline costumes can come in between $600-1100USD. Male costumes are usually within the $500USD range. If you want the road experience minus the costume, you can join the T-shirt section for an average cost of $250USD per person. Bonus Tip: Have fun but drink responsibly. You cannot outdrink the drinks truck because it will always win. Remain hydrated throughout the day and follow the 1:1 rule – one bottle of water for every alcoholic drink consumed. You are officially ready to take on Jamaica Carnival! As always, your safety is of the utmost importance; travel in groups and be aware of your surroundings at all times. 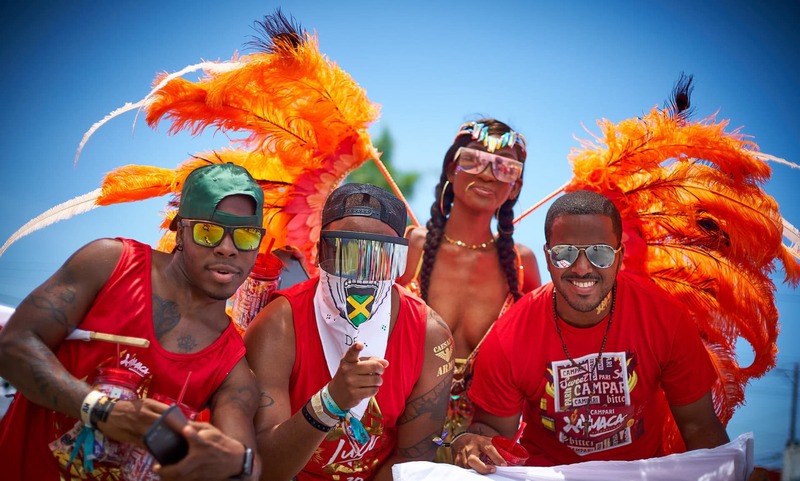 Make the most of your trip by using the tips and suggestions provided in this guide and your carnival experience will be one for the books.